UPKJ Mini Smart Socket - Make Your home smarter, Manage Your home smartly. App Download: Search "TuYa" on App store, Google Play, or Scan the QR code on the User Manual and install it. Step 3: Configure Smart Wi-Fi Plug preferences on the "TuYa" App. 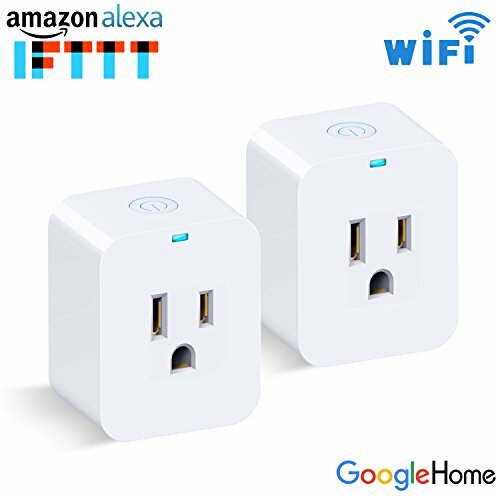 UPKJ Mini Socket works with your existing home Wi-Fi (2.4 GHz band) without the need for a separate hub. UPKJ Mini Socket * 1, User Manual * 1, Worry-Free 18 - month warranty and 7×24 hrs friendly customer service. Please keep the package and instructions and contact card for 1 month, if you have any problem, please kindly contact us directly!! !